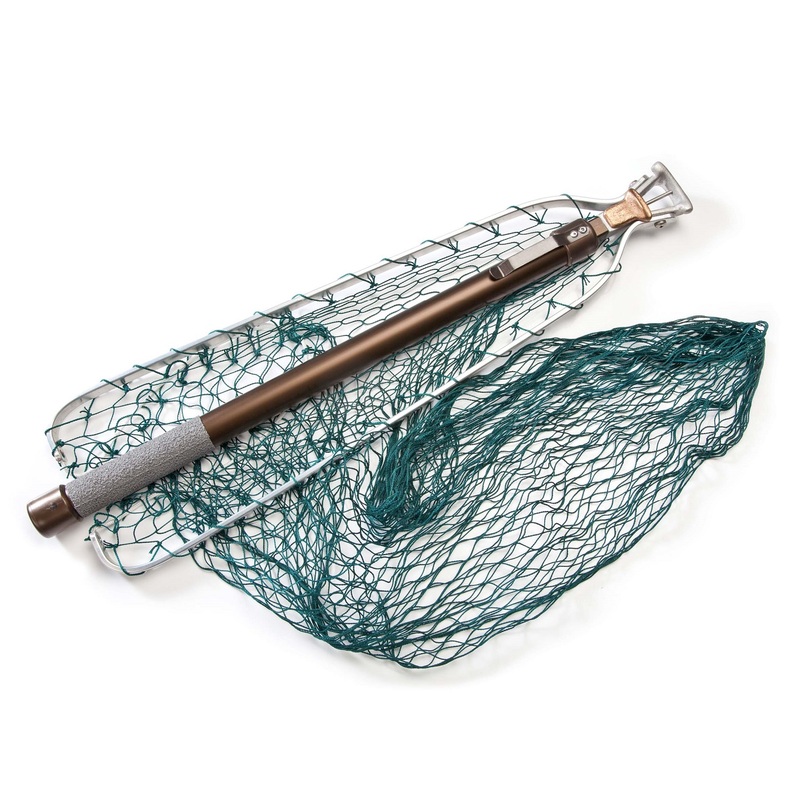 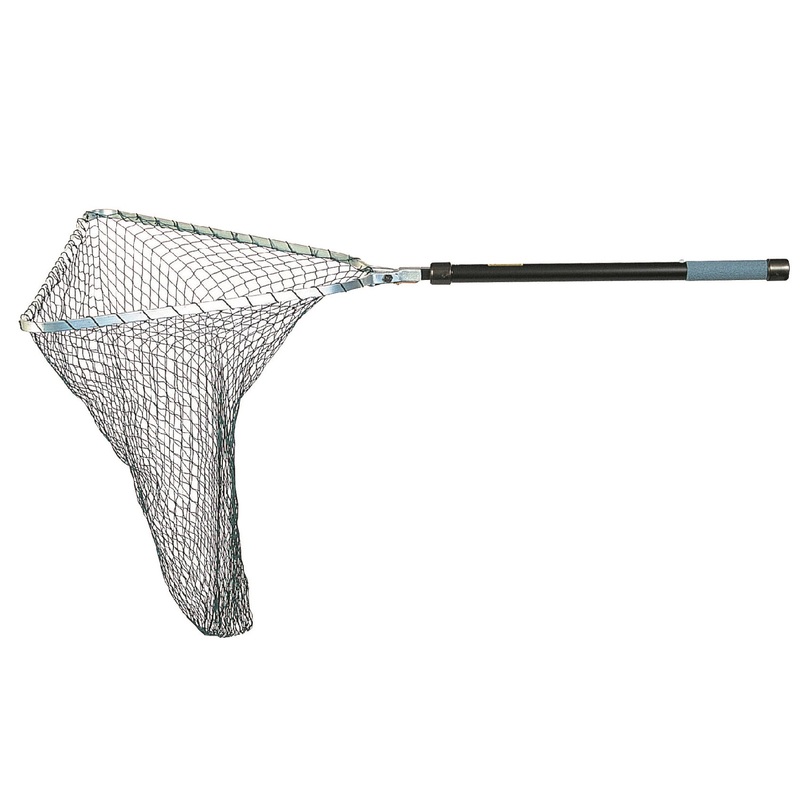 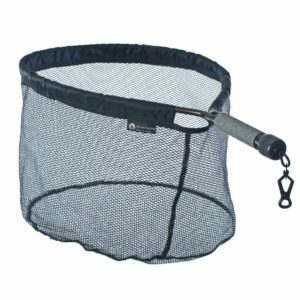 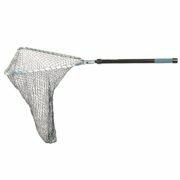 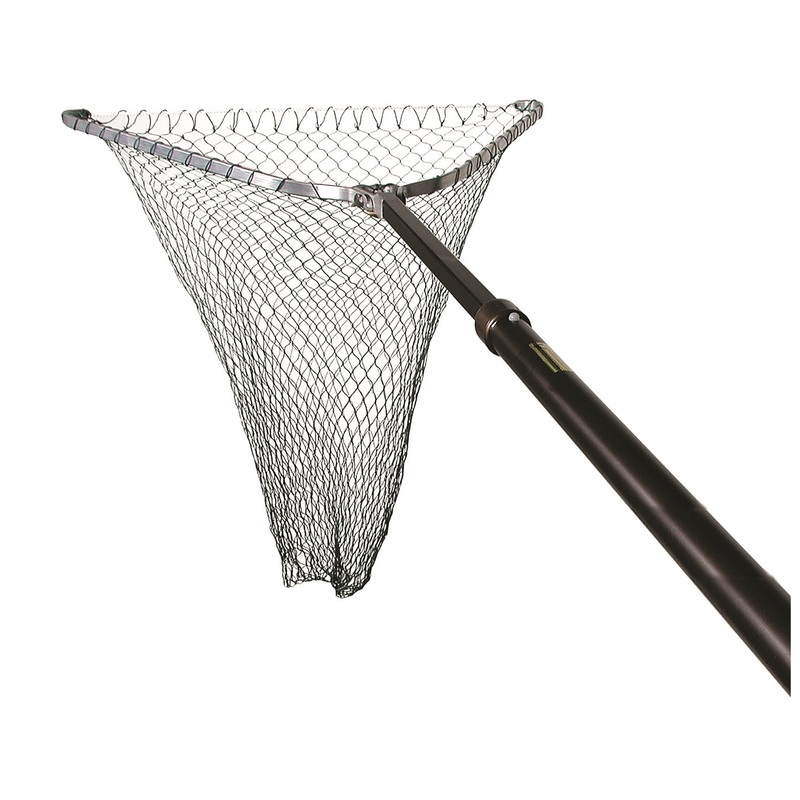 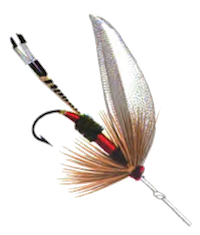 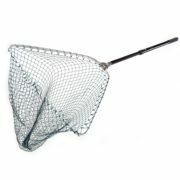 Press the button and the spring loaded telescopic handle immediately extends this Tri head folding net. Also available in rubber mesh. 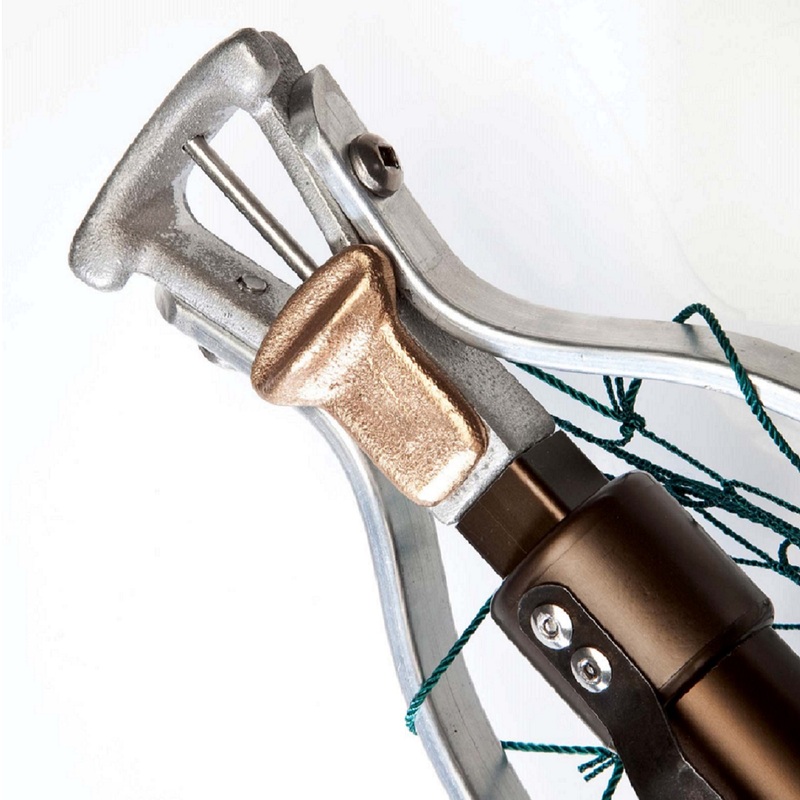 Optional scabbard.